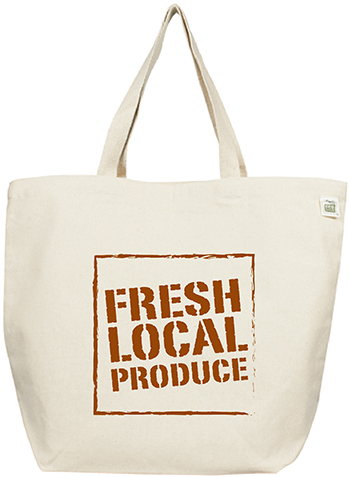 Printed on Natural Cotton Canvas, this bag is the perfect companion for day to day errands or a weekend getaway.Whether you grow your own or support those with greener thumbs than your own, this bag is the way to show your love for all things local and naturally delicious. All seams and stress points are double stitched for durability. 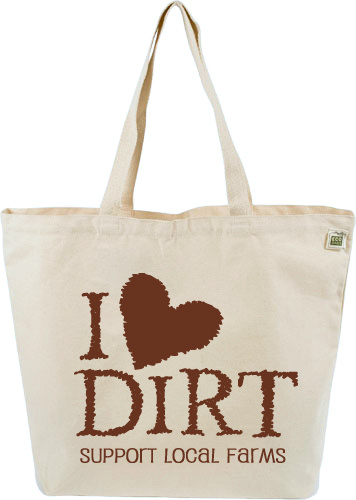 Unlike bulkier totes, this bag folds easily to neatly fit in tight spaces and its lengthy handles allow you to comfortably carry the bag either over the shoulder or as a tote.